Hello lovelies & Happy Tuesday! Hope everyone is recovering from the time change this past weekend. I’m currently trying to recover from another fantastic cold, but I did manage to get my nails done before it struck me down this weekend! & it was so exciting to play around on my nails. & what was I feeling? A drag marble. & oh boy was I rusty! It’s been forever since I attempted any kind of drag marble design & my base shade (Ardene Dashing) was a little too quick drying which added some difficulty to my look. But the more I look at this design, the more it’s grown on me. I added a bit of gold glitter flakes which I’m not sure if it added to the design, but I was a little haphazard with my placement. & my favourite nails? My thumb & my pinky. The design on both definitely turned out be best. As you can see, the swirl on my thumb looked just perfect. If only every nail had turned out this amazing. What do you think of this look? Which nail do you think turned out best? Which colour combo do you think I should try next? Share you thoughts down in the comments below! Happy Monday lovelies & a long weekend Holiday Monday at that! Going to try & make up for my lack of posts last week with a few extra this week (after a crazy last week at work with back-to-school). First up is a nail design I wore to a wedding this past weekend. Obviously, I had to do roses & I decided to add it a few polka dots as well. To me, this design kind of looks like wallpaper, but like cute wallpaper. & I absolutely love how they turned out. But then again, when have I ever not been happy with floral on my nails! This look turned out so perfectly, just how I imagined in my head. They were the perfect nail art look for attending a wedding, actually ended up matching the dress that I wore which also had roses all over it. Not going to lie, I totally picked my dress because it matched so well with my nails! what do you think of this nail art look? Do you have a go-to wedding look for your nails? There has been a lot of pink & red happening on the blog in preparation for Valentine’s Day, so I thought it would be fun to break it up with something a little different! So today’s Swatch Sunday is all about this beautiful multichrome from Ardene called Twilight Zone that’s been in my stash for a good 2-3 years now. 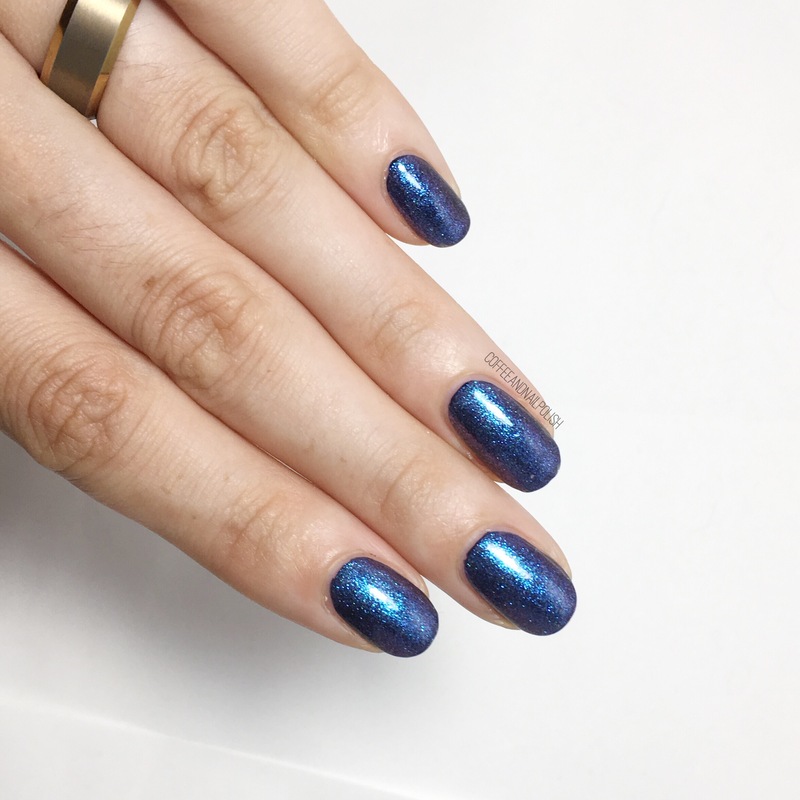 I’m not sure if it’s still available in store, although I do know they come out with different (similar) duochrome & multichrome shades every so often, so I would recommend popping into a store near you to see what hidden beauty you might find! For this swatch, I applied two coats of Twilight Zone over a dark base of Essie Under the Twlight because the polish itself is fairly sheer & would require more coats than I have patience for. As you can see from the bottle, the base of the polish is a sheer-ish green blue with iridescent blue shimmers. You could definitely try & build it up to opacity, but I’m not sure how many coats that would be. If I had to guess, I’d say you’d be looking at least 4. & besides, I really find these shades work best with undies–it makes the change that much more apparent. You can see above that it flashes between blue & pink/purple depending on how you move your hand. Ugh, it’s just so pretty! Why do I always forget how much I love shifty shades until I’m wearing them again? I’ve been reorganizing the nail room because I got some new storage, & gushing over my old school shades so much, like this beauty & my Claire’s Villain shade dupes from 2010. I keep trying to figure out how to best share my stash on the blog, but with 1000+ nail polishes I’m not sure the best way to document them. Any suggestions on the best way/app to organize what I have & be able to share? Like I said, I don’t believe that Ardene Twilight Zone is still available for sale in store (unless you check out a Outlet perhaps) but I know that they’re always coming out with new & interesting shades so I would definitely recommend checking out what they have. I’ve bought some pretty fun polishes there over the years that are still favourites of mine. 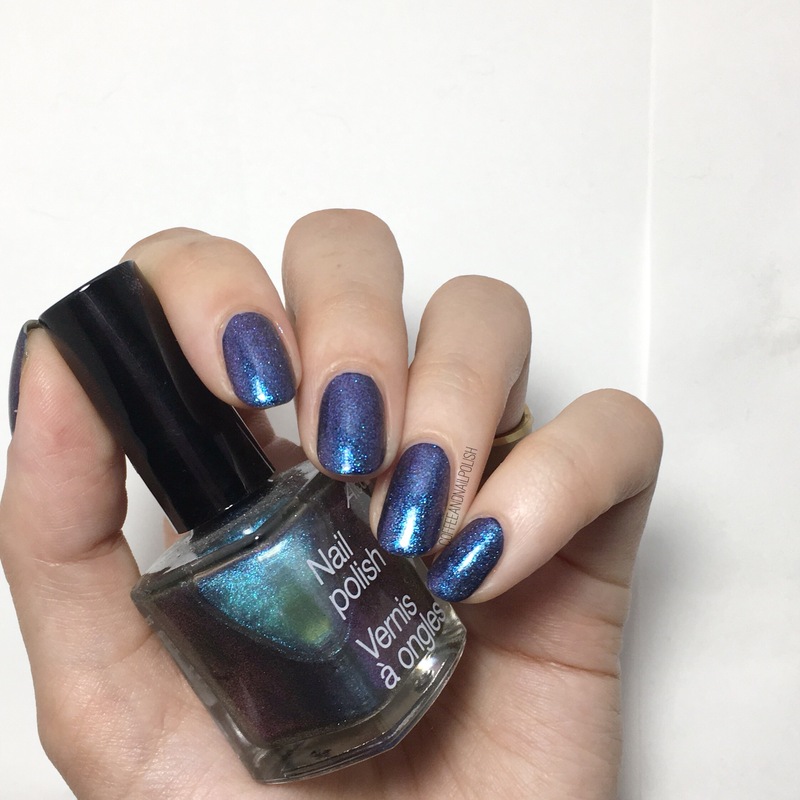 What do you think of this shade? 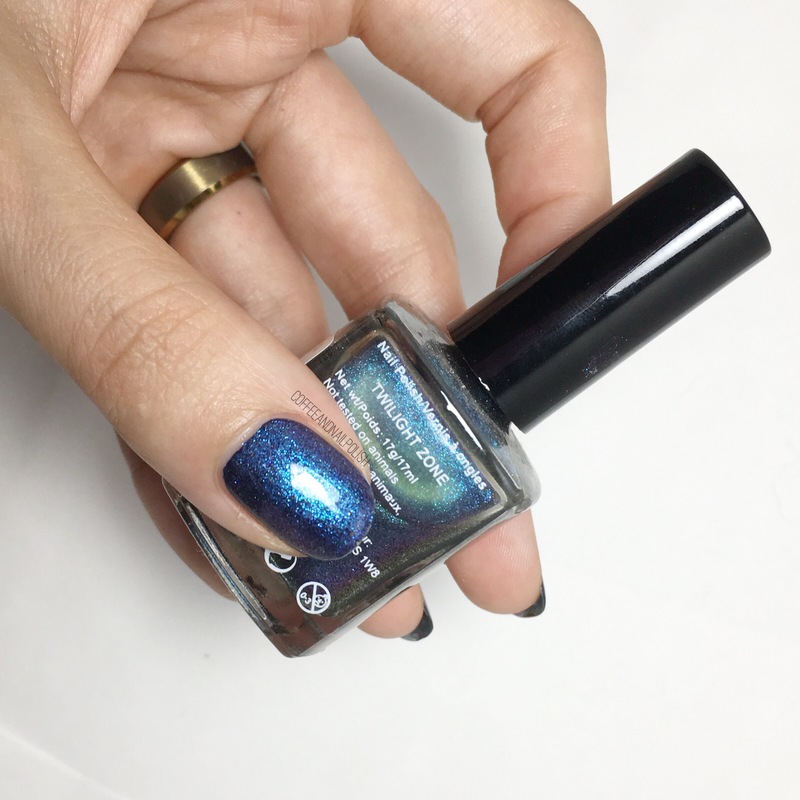 Have you ever bought an amazing polish in a surprisingly place? Let me know your thoughts on the comments below. Another day, another fun Valentine’s Day appropriate design to share with you! The day is quickly approaching, so I’ve been trying to get creative while I have time. Last year with having a newborn (& spending extra days in the hospital) I wasn’t able to do anything Valentine’s Day related on my nails, so I’m definitely making up for it this year! For this design, I decided to grab a few of the colours I picked from my “6 Polishes I’m Loving for Valentine’s Day” post on Sunday. To pair all these shades together, I decided on son stacked chevrons to show off all these pretty shades! This is definitely a design that is all about Valentine’s Day–it might be too flashy of a design to wear, for example, to the office (depending on where you work) but would be awesome for date night, or a Valentine’s Day themed party! Do you like these Valentine’s Day themed nails? Have you figured out what you’re doing on the day yet? My hubby & I usually stay in–because trying to make reservations is hell on Earth–& make heart shaped gluten free pizza or something else delicious. & of course, cupcakes! It’s become holiday tradition for me to make him cupcakes for special occasions. Let me know your thoughts on this design in the comments below! SWATCH SUNDAY — 6 Nail Polishes I’m Loving for Valentine’s Day! Since we’re into the first week of the month of love, I thought it would be fun to dedicate Swatch Sunday to some perfect polishes for Valentine’s Day. I own a lot of pink & red shades so I had fun going through my stash to find 6 polishes that I will definitely be loving this month in the days leading up to Valentine’s Day (okay & pretty much always because pink & red nail polish always have my heart). I actually did a post like this a few years ago, so I thought it would be fun to do another one! So here are my 6 polish picks for Valentine’s Day 2018. L’Oreal Jardin Des Roses is my first pink choice & it’s a pink I’ve really been loving lately. This is two coats for full coverage of this soft romantic pink & it applies really well. This pink is great because of how soft the colour is–you won’t look like you’re Barbie when you wear it. If you’re looking for a classic red to wear on Valentine’s Day, I feel like you don’t need to look any further than Christian Louboutin Beauty Rouge Louboutin! I received this beautiful red nail polish from a family friend the night before my wedding, & because it is so special to me I tend to save it for special occasions. I used two coats for coverage — it’s pretty good after one, but I wanted to make sure there was no hint of visible nail line. This is definitely the perfect classic red for a Valentine’s Day date, & if your significant other forgets about Valentine’s Day, you can always stab them with the bottle! Valentine’s Day is a special occasion, & sometimes I want a little glitter & Ardene Boudoir is a fun glitter choice. It a clear base stuffed full of berry glitters. I used 3 coats for my swatches (thank god for peel off base coat) but normally I would either apply it over top a complimentary shade or sponge the glitter onto my nail. You can build close to opacity though, although I couldn’t imagine the dry time. 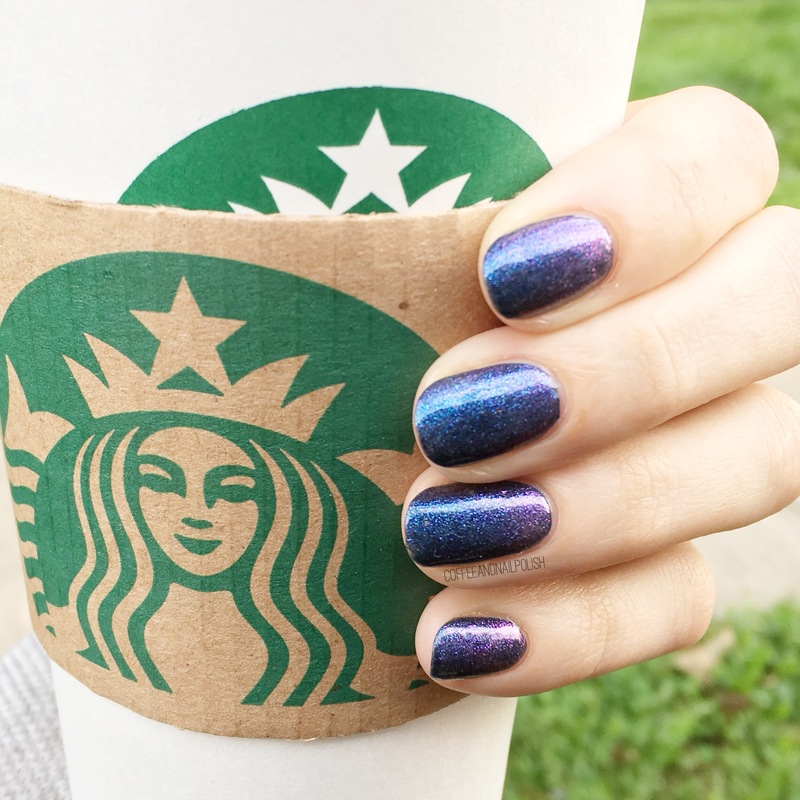 I just love the colour of the glitter in this polish–sometimes you just need to sparkle a little (or a lot)! Next up we have OPI Fire Escape Rendezvous. This is 2 coats of this metallic ruby red polish with glitters–both shard glitter & hex glitter. The glitters are interesting, but I really dig them. 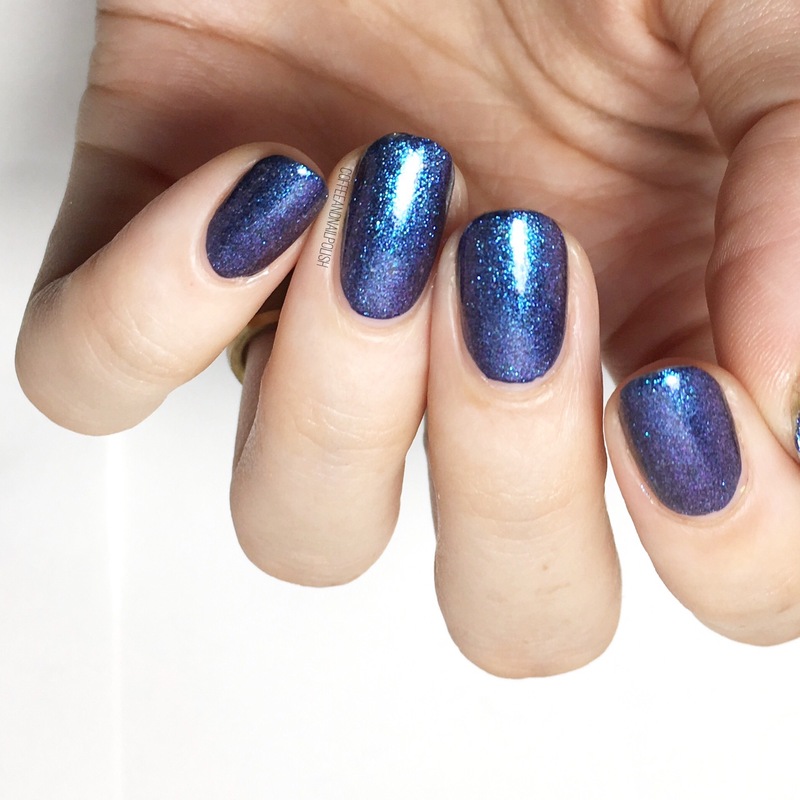 They give this polish an interesting texture which makes it unique, although I definitely prefer it top coated (Seche Vive). If you’re looking for something a little more than just red, this would be a great choice. Last, but definitely not least, is Sinful Colors Bloom Blast in Flower Power. This milky pink shade is stuffed full of large & tiny matte pink metallic & white glitters. I belive it’s supposed to be worn on it’s own but I think it looks best over top other pink polishes. This is one coat over OPI Two Timing the Zones. How cute does this look? I know not everyone is a nail art person, so a topper like this is a great way of zazzing up your nails without having to worry about freehanding anything! It’s almost a dotticure without any of the work! So those are the six polishes I’m loving for Valentine’s Day this year? What shades/polishes are your Valentine’s Day favourites? Let me know all your thoughts in the comments below!